I made them years ago. I have to say I am really not a toy maker... I love to design them, but I hate cutting fabircs, or should I say I have no patience for the process. I guess once I get into the "zone" I would be fine, but getting into the zone takes a lot of energy. I just want to jump to the end product right away. 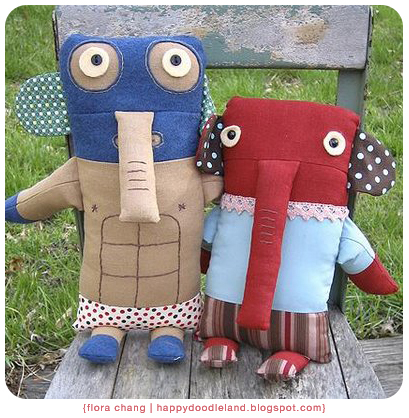 I always envy people who really enjoy making plush toys and sewing.